Released in November 1970. John had numerous disagreements with Joe Boyd over the production of this album and, because of the numerous overdubs , John felt that the recording lack spontaneity. The album featured the introduction of the talents of bass player Danny Thompson. There was some discussion as to what to call Say What You Can and in the sleeve notes it is also referred to as Let It Happen. Good friend and musician Paul Wheeler wrote Give Us A Ring. In 1969 John met and married Beverley Kutner who was making records at the time with Joe Boyd of Witchseason. John was originally hired to be Beverley’s backing guitarist for recording sessions. 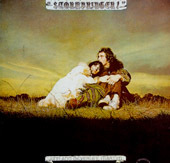 This album was released in February 1970 having been recorded in Woodstock. 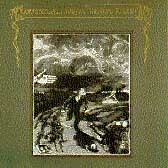 John was inspired by The Band and the album included Levon Helm on drums. John began to experiment to find a distinctive guitar sound. 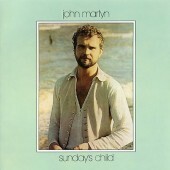 Would You Believe Me is the stand out track which featured the introduction of the echoplex guitar technique which John pioneered and is still a major part of his gigs today. John The Baptist / The Ocean was released by Island as a single in January 1970 on the highly collectable ‘pink’ label. The album was cut in the summer of 1969 under the direction of Paul Harris. Joe Boyd rented John and Beverley a house in Woodstock. 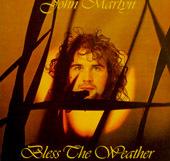 Released in November 1971 Bless The Weather was an album of pure, simple but mature songs which John says was “very innocent, very beautiful and a pleasure to make.” Some of the songs were written in the studio on the day they were recorded, satisfying John’s desire to be spontaneous. Danny Thompson provided bass accompaniment and Richard Thompson, Tony Reeves (Colosseum), Ian Whiteman and Roger Powell (Mighty Baby) all played on the album. Glistening Glyndebourne showcased John’s technique of playing acoustic guitar through the echoplex to stunning effect, although Rolling Stone magazine dismissed the track as “rambling !” The short but sweet sleeve note “So nice to see our John again” was penned by Paul Wheeler. 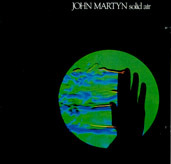 Released in February 1973, Solid Air is regarded by many as the John Martyn album. The title track (Solid Air) was written for friend and peer Nick Drake and concerned Drake’s mental strife at the time. (Drake took his own life the following year, a great loss to John personally, and to music generally). 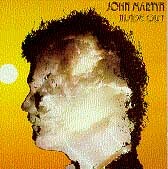 Adventurous, dynamic, with a rare depth and power, the album demonstrated John’s slurred vocal style, reaching the state where it became fully integrated into the overall sound as an improvisational instrument used for it’s colors of tone, something John has always aimed for. Musicians included Danny Thompson, Richard Thompson, John ‘Rabbit’ Bundrick, Dave Pegg, Dave Mattacks and Simon Nicol. May You Never / Just Now was released by Island as a single in November 1971. This early version of the later album track featured drums and Paul Kossof of free on the guitar. John didn’t like the way the track was turning out and left the producer “Robin somebody or other” to overdub and put it together. According to John it, “sold four copies.” The album sold well in the UK and America. Many of these songs were used for the soundtrack to the film Titanic Town in 1999. “It felt natural”, said John at the beginning of the track Fine Lines. Released 24th January 1975 and recorded and mixed during August 1974 at Island Studios. The sessions were short but intensive, producing songs of considerable contrasts from the boogie of Clutches, to the traditional folk song of Spencer The Rover. The overall feel of the album is one of contentment and John called it ‘the family album, very happy purely romantic…a nice period’, an impression borne out by My Baby Girl, which featured Beverley on vocals for the last time. The Message is a very underrated song and worthy of more attention than it gets. Many of the songs such as One Day Without You, Lay It All Down and You Can Discover are pure emotion and romanticism. My Baby Girl and Spencer The Rover are dedicated to two of John’s children.